The NBA Draft is one of the most exciting nights for players, coaches, organizations, fans, and even bloggers. Once the final pick is announced, there is a large pool of undrafted players who have no idea what their immediate and long-term futures hold. The path that undrafted players take to the NBA can be short or long, direct or winding, and they are usually very difficult. The list of success stories is longer than you may realize, and their impact in the NBA can be impressive. This season, the Mavericks have started a game with four undrafted players, Dorian Finney-Smith, Salah Mejri, Wesley Matthews, and Seth Curry, while also playing Nicolas Brussino, Jonathon Gibson, and JJ Barea. They may not be the best example of success with their record this season, but historically we can look at former Defensive Player of the Year Ben Wallace, NBA All-Star Brad Miller, Former Sixth Man of the Year Darrell Armstrong, Knicks’ All-Time Leader in 3-Point Field Goals Made John Starks, and one of the most famous basketball players in the world, Jeremy Lin. This article will examine the similar success stories and the mechanisms that allowed them to succeed. The mechanisms for the identification and development of the undrafted player have changed over the years. The story of undrafted players starts with the history of the NBA Draft. In 1988, the NBA greatly reduced the number of rounds in the NBA Draft to 3, in 1988, and then eventually 2 in 1989, thus increasing the pool of undrafted players. As such, most of the successful undrafted players entered the NBA after 1988. The 1988 draft itself produced undrafted players like Avery Johnson and John Starks. Until 2001, pre-draft workouts, the Combine, and college-senior-only scouting events like the Portsmouth Invitational were the only ways to earn NBA training camp invites. This was how things were done until the NBA sanctioned the Orlando Summer League in 2001. Summer leagues have existed (what up, Drew League), but they have not been well organized or sanctioned by the NBA. The Las Vegas Summer League was added in 2004 as more teams started to participate, and the Utah Summer League was eventually added in 2015. The Summer Leagues have provided teams more opportunities to evaluate undrafted players, and given players more opportunities to impress these teams. NBA Summer League has become a league-wide event, and almost every front office is present evaluating not only their own players, but anyone else that catches their eye for training camp invites or outright contracts. The Las Vegas Summer League also includes a team from the National Basketball Development League (NBDL), one of the most important success mechanisms for undrafted players. The NBDL started in the 2001-02 season with eight teams. It is now known as the NBA D-League, and currently has 22 teams with one more slated for expansion next season. All of these teams have affiliations with NBA teams. The D-League provides players who aren’t on NBA rosters game time to develop skills and impress teams. The D-League has grown in stature as more and more teams look to the D-League to fill out their rosters and develop potential rotation pieces, which can be seen in the rise of D-League alumni on NBA rosters. The growth of players through their D-League careers improves the depth of NBA players that can be utilized by NBA teams. One of the main ways that NBA teams tap into this D-League talent is through the use of 10-day contracts. Because of this, the 10-day contract has become a popular method for undrafted players to make their way to the NBA. These 10-day contracts allow NBA teams to sign players for ten days (shocking, I know) or three games. Players can be signed to two of these contracts by the team before they are required to either release the player or sign them for the rest of the season. The 10-day contract allows teams to give players a tryout in their team dynamic, while not spending a lot of money. Players can impress teams during their stay and may be able to earn a contract through the rest of the season. Teams have begun to see the value of finding these guys (they can usually be signed for minimal salary) and are now handing out more 10-day contracts than ever before (Note, 10-day contracts can only be handed out after January 5th, so the following table reflects the year the contracts were given out). The NBA has encouraged this trend by implementing the hardship exemption, which allows teams to sign even more 10-day contracts when players on their existing roster get hurt. These 10-day contracts can be relatively lucrative for D-League player as their salaries are typically around $25,000, but the 10 day contracts can pay a pro rated minimum salary that is usually around $50,000. Undrafted players have several different paths to the NBA, and each one can benefit them in their own way. Since these mechanisms appear to be working, the new Collective Bargaining Agreement (CBA) has elements that will continue to increase player development. The NBA roster size will be increasing from 15 to 17, which means more opportunities for undrafted players. The CBA also includes two-way contracts, meaning designated players are paid NBA money when they suit up in the NBA, and D-League money in the D-League. This should continue to grow the D-League and allow team affiliated players to move more seamlessly between leagues. This should also help to prevent players from going over to Europe due to the low salaries in the D-League. So who are some of these undrafted players, and how have these mechanisms contributed to the advancement of their careers? Some successful undrafted players have had extremely short paths to the NBA. Wesley Matthews, went undrafted in 2009. He played for the Utah Jazz in the Orlando Summer League and the Sacramento Kings for the Las Vegas Summer League that same year, and earned a one-year contract with the Jazz, where he started almost 50 games in his rookie year. Eight successful NBA seasons and $48 million in career earnings later, Matthews continues to serve as prime example for undrafted players everywhere. If Wes Matthews isn’t the best current undrafted player then JJ Barea might be an alternative. He went undrafted in 2006 and joined the Golden State Warriors for the Las Vegas Summer League and the Dallas Mavericks for the Rocky Mountain Revue (the precursor to the Utah Summer League). He earned a multi-year deal with the Mavericks, leading to a 10-year career and an NBA championship. A more recent example of a shorter route would be Tyler Johnson of the Miami Heat. Johnson went undrafted in 2014 and joined the Heat’s Summer League Team. He signed with the Heat, was then waived, and finally ended up on the Sioux Falls Sky force of the NBA D-League as an affiliated player of the Heat, with the Miami Heat eventually matching a 4-year/$50 million offer sheet from the Nets to keep Johnson. These short paths are most likely due to a couple of reasons. Poor scouting before the draft can prevent talented players from getting drafted. Tyler Johnson didn’t even have a DraftExpress Profile and was only invited to three pre-draft workouts. Over-scouting can cause some talent evaluation issues as well. Wesley Matthews was a four-year player at Marquette, and the consistent knock on him before the draft was that he didn’t excel at any specific skill. As far as draft evaluations are concerned, age has also become a skill. 23 year-old four year seniors are punished because of this, which helps to contribute to their undrafted status. Sometimes Summer League can show that some of the players with physical concerns can cope in NBA environments despite things like size and age. The concern over JJ Barea was his size, and the concern with Matthew Dellavedova was his athleticism. These concerns must have been alleviated to initially earn two year deals from their respective teams and then continue on with successful NBA careers. These short routes are typically for players who were talented enough to be NBA players, but weren’t drafted due to team’s failures to scout and project their talent. Ouch, that is not nice. However, Temple had redeeming qualities on the defensive end of the floor that he could build off of. At 6’6”, he has good size for a guard and a long wingspan, making him an ideal NBA defender. Despite his defensive qualities, most NBA teams were not exactly looking for 23-year-old point guards who couldn’t shoot or score. Unsurprisingly, he went undrafted in 2009. Temple was signed to the Rockets’ Summer League, but didn’t really prove he could be an offensive threat. Despite this, he still managed to make a NBA D-League team. In his first season, he averaged 15 points per game, while shooting 42% from the field and 37% from 3. These stats helped to prove he could be a competent offensive player to go along with his defensive skills. This earned him four separate 10-day contracts, with three different teams, before eventually signing with the Spurs for the rest of the season. After another round of Summer League, stints in the D-League and Italy, and four more 10-day contracts, Temple signed with the Washington Wizards, where he played for three and a half years, until being signed for $24 million dollars by the Kings this offseason. This journey has included significant development of Temple as a player. This year, Temple is shooting over 40% from 3. He is one of the top players on the team in effective field goal percentage – not bad for a guy who had Ricky Rubio-like shooting numbers in the SEC. He has developed into a solid 3 and D player who is also capable of handling the ball. These longer paths to the NBA are usually due to these players needing time to develop the skills to become basketball players. 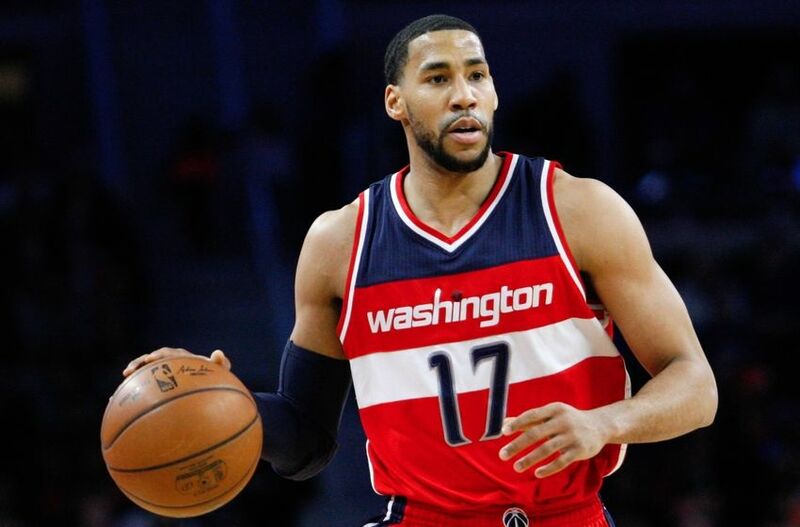 Garrett Temple needed to become a competent offensive weapon to complement his elite NBA size and defensive qualities. Another undrafted player having success this season who has taken a circuitous route to the NBA is Sean Kilpatrick. Sean Kilpatrick has played in the Summer League for three seasons, D-League for two seasons, was a D-League All Star, and had been signed to four 10-day contracts, including one hardship exemption from the Timberwolves where he was chosen only because he was the closest player to the Target Center. He eventually signed with the Brooklyn Nets, where he plays now. His long path included development to diversify his game from the undersized knock down mid-range shooter he was in college. Sean Kilpatrick has improved his ball handling and can now run the pick-and-roll more effectively. He will never be Chris Paul, but his ability to run the pick-and-roll allows him to play point guard, making his size less of an issue. These types of long paths to the NBA typically are defined by player development. Some players need to develop skills that will allow them to change positions to compensate for a lack of size or athleticism, and some players need to develop skills to make them well rounded enough to utilize their existing NBA level skills. The mechanisms that the NBA has put in place for player development has allowed undrafted players to develop these skills, become NBA level contributors, and make these long routes to the NBA more commonplace. The future of the NBA will continue to promote player development, which will only benefit the undrafted player. A statistical analysis of all of the undrafted players from 1996 up to the current season was undertaken to determine the number of players averaging more than 4, 6, 8, 10, 12, and 15 points per game in every season to determine the effect of the mechanisms put in place. Trend lines were then developed to determine if there has been an increase or decrease in the amount of undrafted players and how they are performing. The results of the analysis showed that there was not an increase in the top-end talent of undrafted players. However, the analysis did show an uptick in the number of undrafted players who averaged more than 4, 6, and 8 points per game. This suggests that the mechanisms are helping to find and develop rotation NBA players from the pool of undrafted players. The increased utilization of undrafted players should continue with these additional mechanisms, which means we might be seeing more players like Jonathon Simmons making it to the NBA. Jonathon Simmons initially played Junior College basketball before playing his junior year at the University of Houston. He declared for the draft after his junior year and went undrafted. He was then selected in the first round of the American Basketball League draft by the Sugar Land Legends and averaged 36.5 points per game in his first season. After the season, he paid $150 to register for an open tryout for the Austin Toros of the NBA D-League. He made the team and played two seasons in the D-League, increasing his points per game from 9.8 to 16, and his 3-point field goal percentage from 28% to 40%. He also played some point guard in his second NBA D-League season after improving his playmaking skills. He played on 2015 Summer League teams for the Nets and Spurs before earning a contract for the Spurs. There were several instances where Simmons was close to calling it quits, and now the Spurs have a rotation piece. Jonathon Simmons is an example of the benefits that can be received from the mechanisms that have been put in place. Undrafted players like Simmons can now take a variety of paths to becoming NBA players, and will continue to provide an incredible value for teams that can develop their skills.